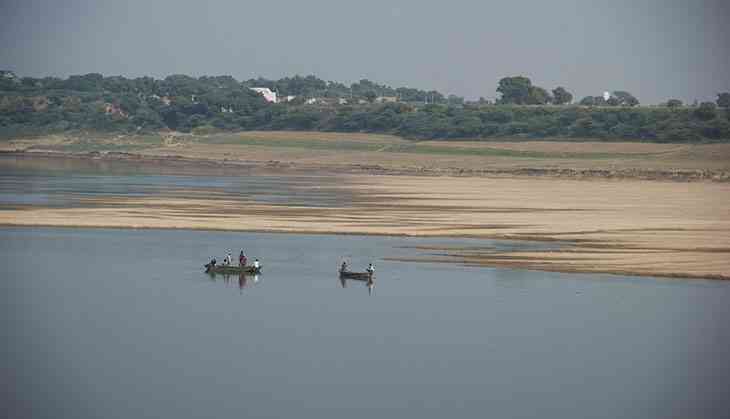 The problems in & around the Chambal River: Can it be fixed? There is no question about the need to conserve the biodiversity of the Chambal River and its ravines. “Take a walk along the banks of the Chambal and there isn’t a single species you won’t see,” says Shailender Singh of the Turtle Survival Alliance, a global partnership that is committed to zero turtle extinctions in the 21st century. With this biodiversity facing daily threats such as poaching, commercial and local fishing, sand mining, and riverside agriculture, protection and conservation of the Chambal should be the paramount concern of the forest authorities of the three states it straddles Uttar Pradesh, Madhya Pradesh, and Rajasthan. But what happens is a whole different story. The operative question, however, is whether the Wildlife Protection Act, 1972 (which declared the Chambal to be a protected sanctuary in 1979) is an effective legal mechanism in conserving the biodiversity in the region or not. The Act attempts to minimise human interaction with the protected area, prohibiting hunting, grazing, fishing, unauthorised possession, transport, trade and habitat destruction. This approach seems to reflect an understanding that the interests of the local communities and those of wildlife are inherently incompatible. In Gopiakhaar, one of the villages on the banks in Etawah, Uttar Pradesh, several poor farmers claim that the Wildlife Protection Act has embroiled them in an unwarranted legal mess. Ram Bahadur Baldia Manilal, of Gopiaghaar, has six cases pending against him under the Wildlife Protection Act for fishing and capturing wildlife. He claims that he is aware that the Chambal river is protected since 15 years, and has not fished on the river since. Mayan Singh has two cases against him. “Humne machli pakadna kabse chod diya hai; hum na machli khaate hai, na pakadte hai, phir bhi mujhpe mukadma jaari hai (We have quit fishing long ago; we neither eat fish, nor catch fish, yet there are cases filed against me),” he says. Several residents of the traditional fishing village have similar stories to share. An old woman, Komal, is the accused in five cases of violating the Wildlife Protection Act. She claims that she had not captured the owl or the peafowl – they were her pets. Kishore Singh has seven cases against him; Shiv Singh has three. For each appearance in court, they have to pay the lawyer Rs 100 and they have to spend around Rs 250 for conveyance to and fro the court. “We have been compelled to take loans to fight these cases,” says Kishore Singh. The over 300 villages along the banks of the Chambal are inhabited by farming and fishing communities who continue to interact with the wildlife in the region and use the river and resources around it for subsistence. The legal restrictions on them using the river has exacerbated the man-animal conflict in the area. Adding to the confusion, the misconception that the river had been “pawned off” to the United States of America has spread across the area. This belief still exists in the villages along the banks of the river. The fact that foreign researchers were seen working on the banks of the Chambal further cemented this belief. A grouse the farmers in the villages adjoining the sanctuary have is that the sanctuary does not have a fence. Wildlife thus trespasses into their land and destroys their crops. “Their ‘protected’ animals attack our livestock and trespass onto our farms. But if our cattle enter the sanctuary, we are punished. How is this fair? If they’re so concerned about their sanctuary, why can’t they enforce their boundaries?” asks Anoj Rajauriya of Sarson, Etawah. Suresh Rathore, Wildlife Warden for Etawah district, says that fencing the boundaries is not possible. The government, however, provides compensation in cases where the farmers have incurred losses. “I do understand the problems of these farmers. I have suggested that nilgai and other animals that eat their crops be declared vermin,” Rathore adds. Ashutosh Tripathi, an environmentalist, believes that conservation must include the community. People must be made aware of the need to conserve the animals. “We study about certain popular species in school. For example, we learn our alphabet including L for lion and T for tiger. But we have no idea of the boundless other species that exist. Conservation must start with awareness. Why not start teaching children G for gharial in schools?” he asks. Involving the people in conservation efforts is critical to successful conservation, Tripathi adds. The Chambal is one of the last surviving habitats of the gharial, and is home to several other endangered species. “It is very important to get the communities involved to reduce friction between the animals and the people. Education programmes complementary to conservation programmes can ensure that people don’t feel alienated. Unless people are on board, conservation won’t be possible,” says TSA's Shailender Singh. TWEET THIS Man vs nature in Chambal: Conservation is only possible if humans are aware of the animals The problems in & around the Chambal River: Can it be fixed?